A flip without the flop! Chaco Men's flips last way beyond your average summer sandal with smart design and function in mind. Main photo is Tread Black. Chaco Flip Ecotread flips last way beyond your average summer sandal, with smart design and function in mind. Main photo is Trellis Teal. Heres to wearing utility in our new Bottle Opener Belt. 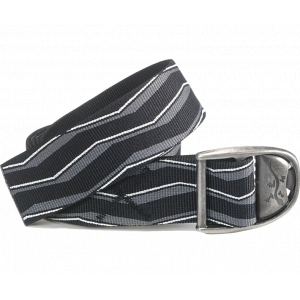 Featuring durable jacquard webbing and a bottle opener built into the alloy buckle (you know, for emergencies), these belts are assembled in the USA and can be trimmed to fit. Ready for town or trail, Chaco Brio boots boast oiled full-grain leather uppers, rolled collars and waxed cotton laces. They're built with comfort, support and long-lasting rugged outsoles. Made to resemble your old baseball mitt, the Chaco Finn flip-flops feature full-grain leather straps with EcoTread(TM) outsoles that clamber across riverbeds and stroll down sidewalks with prowess. The Chaco Flip EcoTread(TM) flip-flops go way beyond run-of-the-mill summer sandals. 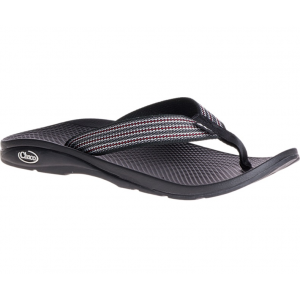 They offer excellent support and durability for strolling around town and heading to the beach.